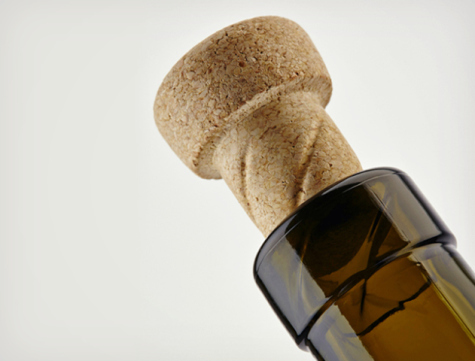 For many people the wine cork has been the bane to fine dining and gracious living. The challenge is to get the corkwcrew in just right and pulling it out without spilling anything. Worse yet is when the cork starts to The Helix Wine Cork and Bottlebreak apart and you end up with bits of it in your favorite red. You could go with a wine that has a twist off cap, but that just never seems quite . . . civilized. You may no longer need to make such an agonizing choice. This may not be a particular dilemma to you if you drink your wine from a box or keep the bottle with you in a brown paper bag. For those with a more refined sense of the grape, image can be important. Even though the use of twist caps on wine has become far more acceptable than it once was, cork remains the superior material for sealing a wine bottle. It is hard to improve on a system that has been in use for centuries. This week, Amorim, the world's largest manufacturer of cork stoppers, and O-I, the world's largest glass container manufacturer, announced that they have found the perfect compromise in their new threaded Helix cork and matching bottle with internal threads. The Helix Wine Cork and BottleAfter several years of research, the companies have found a way to combine the convenience of a twist off cap with the traditional use of cork. The new cork and bottle system has matching threads on both to allow for ease in opening without the use of a corkscrew and resealing without any additional hardware. The Helix is made by pressing tiny bits of cork into a mold. The project took four years to find a design that would allow the cork to be screwed in and out, and still do the job that the cork has been doing throughout history by allowing oxygen to move through so that the wine won't build up some nasty sulfides. No one likes a wine with a bouquet that smells of rotten eggs. 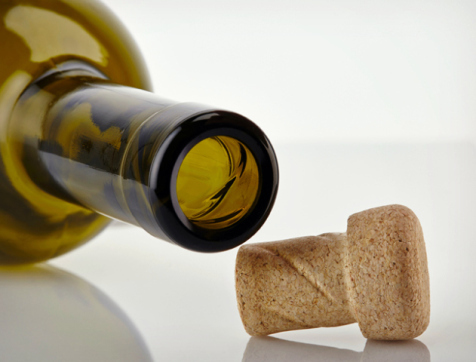 As with traditional cork-stoppered bottles, the new stoppers would still require that wine be stored on its side at a slight angle to keep the cork moist. During the trial period wine was stored in the bottles for 26 months proved to have no deterioration of color or taste, and the nose remained intact. The product can also claim some green credit by using recyclable glass bottles and the sustainable use of cork that does not require the cork tree to be cut down (just harvesting of the bark). Get Your Miracle Fruit Before It Becomes A Drug!